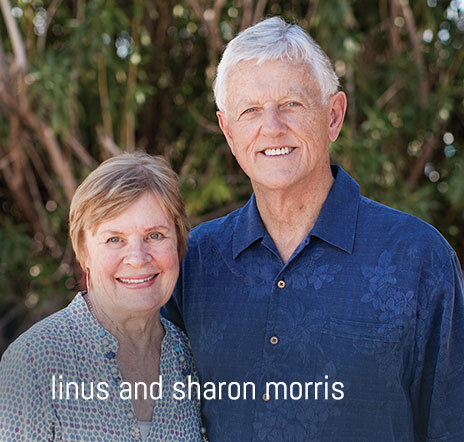 Linus and Sharon co-founded Christian Associates International (CAI) in 1968. They lived in Europe for 10 years, launching churches in Geneva and Amsterdam. The purpose of their ministry is to see Jesus Christ change lives in the cities of Europe and beyond by multiplying passionately missional leaders and churches. Although the Gospel came to Europe in the first century, today much of Europe has drifted from Christ and is “post-Christian.” In many European cities, less than 5% of the population attend any church. The same “post-Christian” mindset has spread to other parts of the world so CA has begun developing a network of church planters and church planting churches in Latin America and North America as well. The goal of CAI is to reach people with the good news of Jesus and introduce them to vibrant churches that build their faith and mobilize them for ministry. Linus holds a M.C.S. from Regent College, both a M.Div. and a D.Min. from Fuller Theological Seminary, and a D.Min. from Bakke Graduate University and Asia Theological Seminary. He is the author of The High-Impact Church, and has co-authored, with his son, Linus Jr., The Divine Expedition, the publication of which is pending. Linus and Sharon have 6 children and 14 grandchildren. Linus travels frequently to the 40+ cities where CAI has established ministry initiatives. Dear brother Linus. Having you and your Team in Matão/Brazil, was a blessing; I felt deep in my heart, the call from Jesus to go and preach his freedom that comes in his life,and Lives have been drawn to Jesus. Thank you for listening and reach us. God keep blessing you all.